New Construction To Be Built In 2018. Center Hall Colonial 5 Bedrooms, 3 Bath W/ Hardwood Floors. 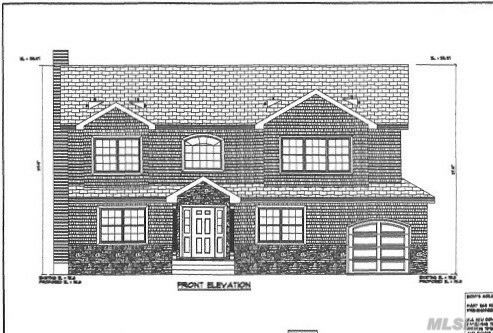 Double Entry Large Foyer, Lr, Dr, Eik With Center Island , Ss Ge Appliances, Den.W/Gas Fireplace. Master Br , Ba, W/2 Large Walk In Closets, 3 Br Ba, Laundry On 2nd Floor. Time To Customize. Interior Pics Are To Show Quality And Workmanship Of The Builder And Are Not Exact As Home To Be Built.